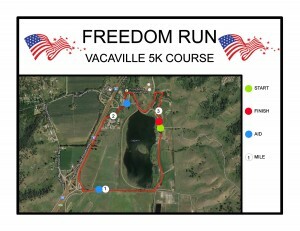 We are excited to announce our inaugural Freedom Run Vacaville! 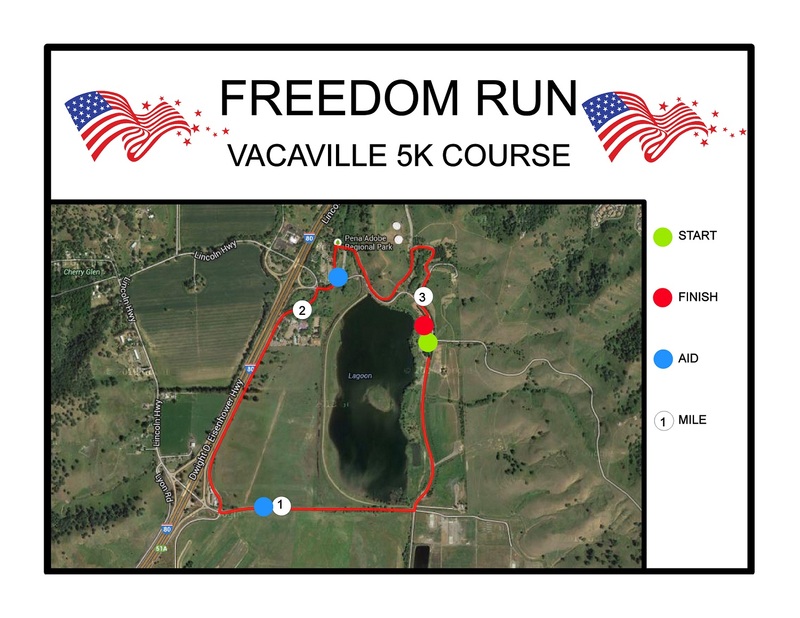 Our 2014 5K course is a scenic single loop course around Lagoon Valley Lake with a start and finish on the west side of the lake. 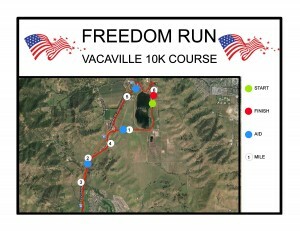 There are two aid stations on this course. 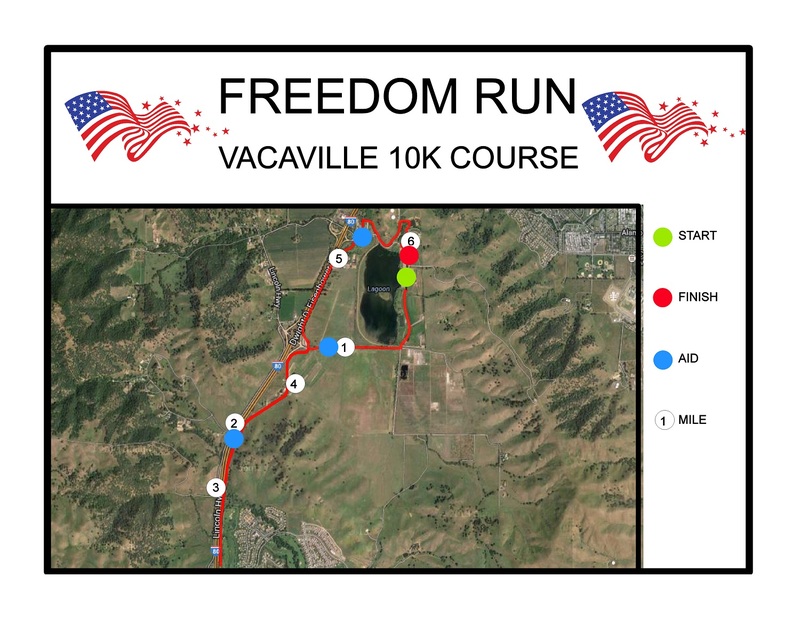 Our 2014 10K course is a single loop course starting on the west side of Lagoon Valley Lake. There is an out and back portion on Nelson Road, continuing on Rivera Road and finishing the loop around the lake. The start and finish are on the west side of the lake. There are four aid stations on this course – the middle aid station can be accessed twice on the out and back. Come run for courage with us!